Room 201 is a standard conference room located on the second floor. 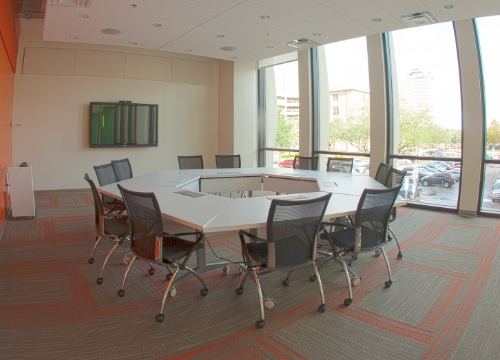 With 6 stationary tables and 12 rolling chairs, this room is perfect for roundtable discussions or retreats. With a full glass wall overlooking the Grand Hall, and another overlooking beautiful Downtown Jacksonville, your guests will appreciate the open feel of this room.